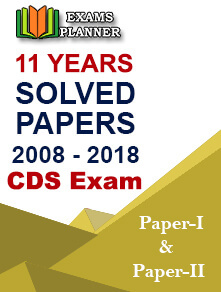 UPSC CDS II exam 2018 official notice released. Online registration process started at the official website. 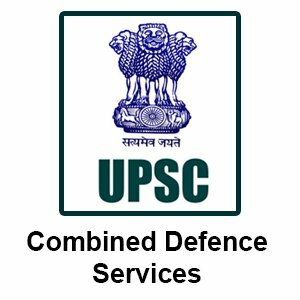 8th August 2018: The Union Public Service Commission (UPSC) has released the notification for Combined Defense Services (CDS) Phase II examination 2018 at the official website. The online application process has started on 8th August 2018. Interested candidates can apply for the exam latest by 3rd September 2018 (6:00 PM). Visit the official UPSC online website - www.upsconline.nic.in. 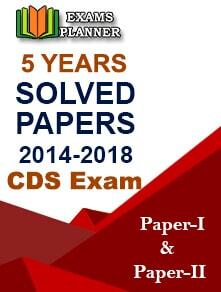 Click on the link “Online Application for Various Examination of UPSC”. You will be redirected to a new page where Part-I and Part-II registration links will appear. Candidates are required to complete both the part to complete the registration process. Start with Part I and provide all the details. Once the part-I registration process is complete, move to part-II. Check the details carefully before final submission. Candidates are advised to apply online through UPSC official website. The application form will be accepted only through the online mode. Male candidates belonging to General category are required to pay a fee of ₹ 200 (Two Hundred only). Female candidates and those belonging to SC/ST categories are exempted from fee payment.